Marketing PRThere is a lot to be said for having public relations services centered on marketing. This is the core concept of “PR-Minded Marketing.” All of our marketing plans are developed with public relations in mind. Social network services are convenient tools, but convenience is not enough to convey messages. Human interaction takes place in real time, and many times the telephone, mail and text messages are simply not good enough. We recommend making direct contact with audiences through "Expanded Real-World Communications." Facebook is a great place to hang out, catch up with friends, see what's been happening with them lately. But nothing beats the real thing: Meeting people, sharing stories, laughing together, real life in real time. 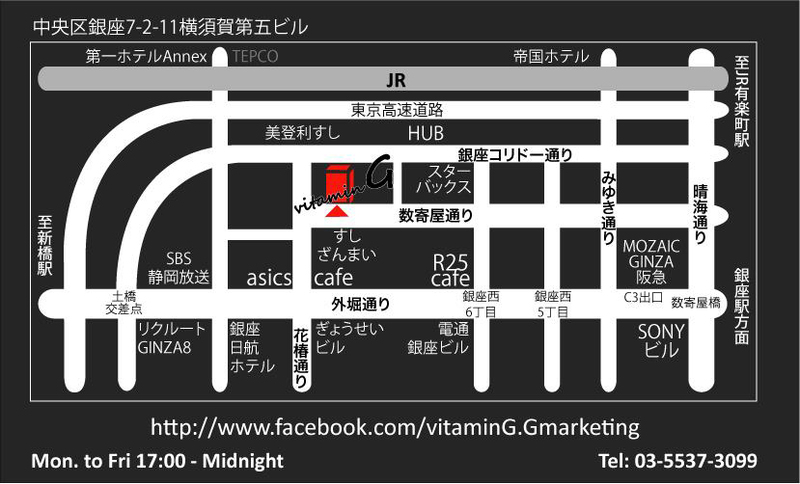 That's "vitamin G," the Real Communications Concept Bar. Designed by a communications consultant, "vitamin G" is the real world space where journalists, writers, creators, designers, producers and just about everyone else involved in marketing can drop by and have some fun. 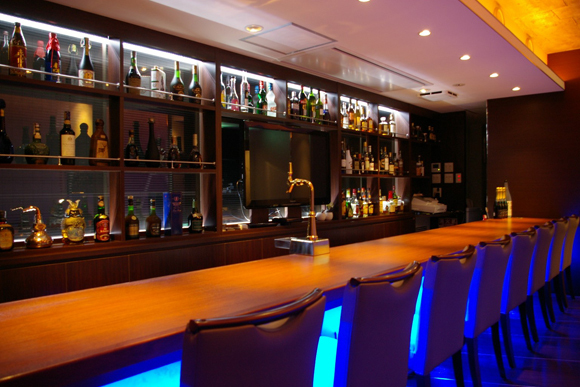 The interior offers a refined atmosphere illuminated with blue LED lighting, eight seats at the counter and a box seat. 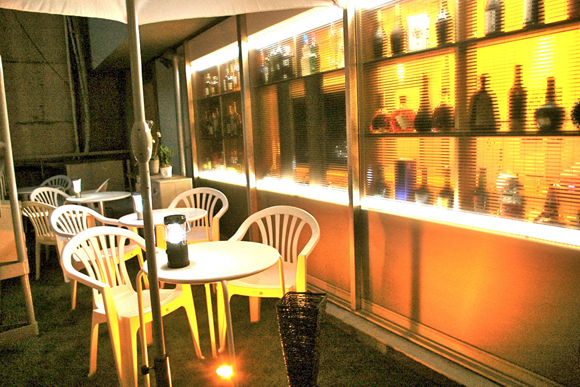 And outside is the Lawn Terrace with FIFA-approved artificial turf and seating for 12. 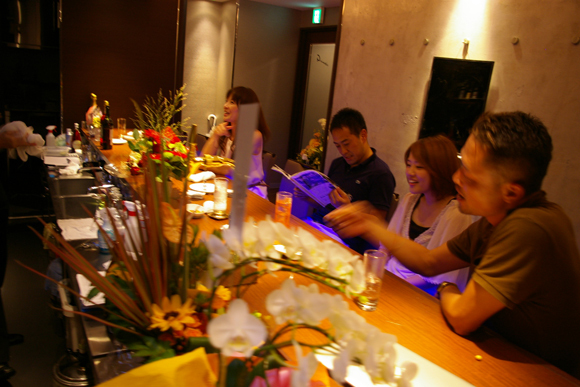 The menu features Chinese Tea highballs, wine, whisky, beer, sake, shochu, cocktails and more. Light snacks are also available, including cheeses, ham, dried fruits and sardines in a special oil. And be sure to try our exclusive collagen soup ramen with Oyama Game Fowl! Plans and activities flow smoothly from the correct answer to this question. In striving to be the Best Partner of our clients, we apply marketing experience on both the corporate and agency sides to determine the best course for the brand and for the business. Think of Gmarketing as members of your strategy team who just happen to work in an outside office. Most of the Gmarketing group have worked inside both internal marketing divisions and agencies. We apply this experience to devise and propose just the kinds of plans an in-house marketing manager needs. Our experience spans more than 150 clients and every kind of communications challenge imaginable. Before you place a want ad, contact Gmarketing. Let us put our capabilities to work for you, to find out what is best for your brand, and make that “best” a reality. Electronic Energy Company, Government, sports association, IT security company. The letter“G”stands for justice and love. We make full use of“G”in marketing activities. As someone involved in public relations and communications for two decades, I can really see the vast changes that have taken place over the past 20 years. Yet, no matter how the world has changed, many companies implement the same kinds of “orthodox” PR plans they always have. What they really need now and will need more than ever in the future is wide-ranging PR plans. Gmarketing’s basic approach is to provide full-scale marketing services based around public relations, or what I call Marketing PR. Our goal is to devise effective marketing methods around a core of public relations, and to strategically implement comprehensive communications activities with an emphasis on PR. We live in an age of abundance and ever-diversifying needs. Just having great products does not guarantee great sales. Makers have to polish their appeal and develop activities that win trust. One thing I have learned worked at PR agencies and managing the marketing divisions of companies is that people make good communications. Especially in agencies, the quality of the account manager, not the company, is the key to successful programs. The same holds true in my current work as an outsourced resource. The best team brings the best results. The fate of every company resides in the character of the people in charge. In our case, I think we have achieved a truly unique team designed from the ground up as the best team for our clients. Some agencies boast organizations of 100 or more account executives. In my experience, such organizations are so vertically managed that no one knows what the team in the next room is doing, preventing them from sharing expertise internally. The best team will never be built by a company like this, which is why we have eliminated all barriers from the Gmarketing organization.